Inspiring Trust. Per Techedge è più di un semplice slogan: è un ideale profondamente radicato nella nostra cultura aziendale. Per noi significa essere professionalmente etici nel nostro lavoro, facendo sempre gli interessi dei nostri clienti. Perchè tutte le relazioni durature e di valore si fondano su integrità e fiducia reciproca. Significa servire i nostri clienti abilitandoli ad essere autosufficienti, essere lì per loro solamente finchè possiamo apportare del valore reale. Perchè nessuna relazione sana può nascere da vincoli. Significa dedicarci e impegnarci a fondo per superare le sfide dei nostri clienti e raggiungere i loro obiettivi, unendo le forze per lavorare globalmente come una singola entità, mettendo sempre l'interesse dei clienti davanti al nostro. Perchè nelle nostre relazioni vinciamo insieme e perdiamo insieme. E non ci piace perdere. Inspiring Trust: ispirare fiducia, è ciò che vogliamo fare ogni giorno con i nostri clienti, le nostre persone, i nostri partner. Formiamo le nostre persone perchè siano sempre affidabili, non solo quando rappresentano l'azienda, ma anche come singoli professionisti. Questi secondo noi sono i veri leader. In questo modo, vogliamo darti l'opportunità di dare un volto alla nostra promessa. 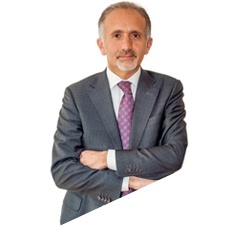 Domenico is the CEO of Techedge. 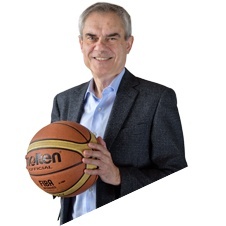 He is one of the very first pioneers of SAP in Europe, and a passionate history scholar. He founded Techedge in 2004 with the vision of creating the first 'global boutique' in the consulting industry and the belief that by focusing on developing the best people instead of the best procedures, Techedge would be able to help companies approach their future challenges with more agility. 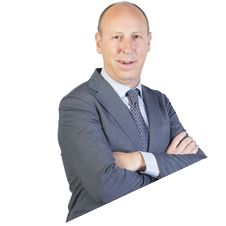 Prior to starting Techedge, he was General Manager of the Italian branch of an international consulting company and a Member of the Board. During his tenure, the branch more than doubled in size, was ranked amongst the top Italian IT services companies and the company became a publicly traded company on the Frankfurt stock exchange. Domenico belongs to the so called Erasmus generation and he earned a master's degree in electronic engineering from Politecnico di Torino, Italy and the University of Leeds, UK. He co-founded the Company and drove its expansion in Spain, Portugal, México, Colombia, Perú and Chile. In 2014 Techedge Iberia & LATAM became part of the Techedge Group after a merger agreement. José is very well known in the SAP world, he started his career at SAP in 1990 as part of the team that was helping early adopters implement SAP; in less than 10 years he took part to more than 300 implementations across Europe. José Pablo earned a Master's Degree in Mathematics from the University of Salamanca, Spain and started a Phd in Informatics from the University of Madrid. 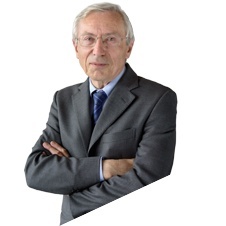 His research focused on Artificial mind and the development of software models with human brain like cognitive abilities; to date this remains a passion of José Pablo. 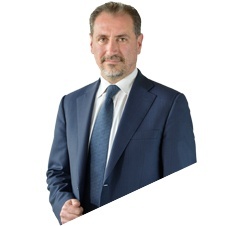 Enrico is the Chairman of the Board at Techedge Group. He holds more than 30 years of experience in the consulting industry. His background includes more than a decade as the managing director of SAP in Italy, as well as the managing director of SAP South EMEA and SAP EMEA NEWS - the SAP territory which spans all of EMEA apart from Germany and which is considered SAP's largest territory in terms of geography and size of business. Throughout his tenure at SAP, Enrico led the organization to achieve incredible performances and strategic results with particular focus on the development and consolidation of a strong SAP partner ecosystem. In addition, Enrico has held top executive roles at companies such as IBM Global Business Services. In his spare time, Enrico is an avid motor biker and circuit race driver. He is also a published author of both a pamphlet and a novel, as well as a passionate blogger. Erika is a Partner and the CFO of Techedge. She oversees Techedge's Finance Operations worldwide, from treasury and corporate controlling to financial reporting and strategic planning. 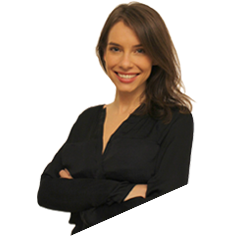 Erika has been with the Techedge since its startup in 2004 and has helped the company develop a global control organization and model to allow all countries to operate in alignment. Prior to joining Techedge, she was Business Unit Manager of Education Knowledge Management Services of an international IT company; during that period she has helped the company establish a world class Finance operating organization. Erika is a professional equestrian for more than 15 years and she has won several competitions at a National level. She earned a master's degree in economics with specialization in finance from Bocconi University in Milan. 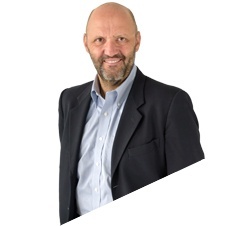 Massimo is a Partner and is responsible for Human Capital at Techedge. Massimo's second passion in life is People and he has a natural talent for attracting the best talents on the market. The first, of course, is basketball. He joined Techedge in 2005 with the acquisition of e-City, a company he founded a few years earlier that quickly became leader for Supplier Collaboration software solutions. 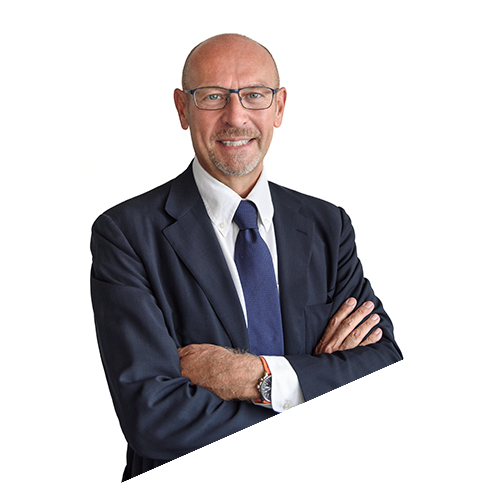 Prior to that, Massimo worked at SAP where he progressed through several leadership positions including Consulting and Education Manager, as well as Manager of Human Resources. 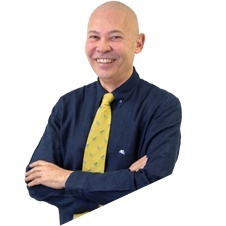 Massimo started his journey as a Production Systems consultant in global IT companies such as Sperry, Univac, and HP after earning a master's degree in electronic engineering at the University of Pavia. One of the co-founders of Techedge, Florideo is responsible for Research & Development, a subject in which he offers more than 25 years of experience. Florideo oversees Techedge's overall R&D operations across all Industries and Lines of Business and drives the alignment between Techedge's global strategy and Research and Development operations. Florideo's current work includes Cybersecurity, Enterprise IoT application as well as the use of Open Source high performance frameworks for large scale platforms. Prior to Techedge Florideo was responsible for the Integration Services Business Unit of Realtech and he oversaw several large scale implementations of real-time B2B integration. Florideo earned a master’s degree in information engineering from the University of Pisa, Italy. Kelly is the Director of Marketing and Communications at Techedge. She began her career with Techedge in 2011, joining the US branch during its initial start-up as a consultant in the business intelligence area. During that period, she worked with international clients helping them design and implement strategies to leverage data to run their businesses more effectively, focusing in the areas of operations, sales and finance. She subsequently joined the marketing department at Techedge, where she worked on the company re-branding, on the implementation of a global digital marketing strategy and the expansion of the solution portfolio to the different markets. A passionate world traveler and foodie, Kelly earned a degree in Entrepreneurship and Business Management from Central Michigan University, USA. 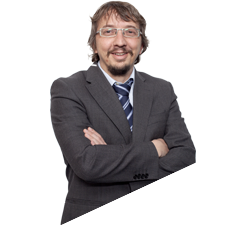 Pietro has been with Techedge since the initial founding of the company. An avid reader, he has a passion for leveraging simplification as a way to maximize performance: from managing operations in a lean way, focusing on objectives rather than processes, to using effective communication as an instrument for constant organizational alignment. His unique ability has been instrumental to support Techedge's fast growth from a startup to a multinational organization. 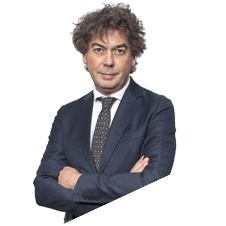 Pietro's background and experience include an intimate knowledge of the Chemical and Pharmaceutical industry, gained while working as IT manager of a multinational chemical-pharmaceutical company. Prior to the startup of Techedge, Pietro held leadership positions in the industry with the constant focus of helping organizations scale up. Some of his previous responsibilities include Chief Operating Officer for the Italian Business Unit of an international firm as well as COO of an SAP Partner company. 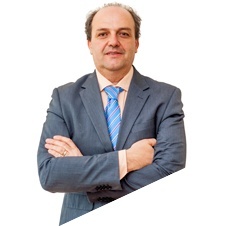 José Manuel Nieto is a partner and leads the business development in LATAM. Prior to joining Techedge in 2008, he held leadership positions in several of the world’s leading technology companies including SAP, Oracle and SAS. 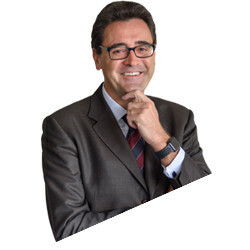 He is a computer engineer from the Universidad Pontificia de Comillas, where he also completed a Master's Degree in Information Systems Management. Additionally, he completed the SAP Value Management Program at ESADE. 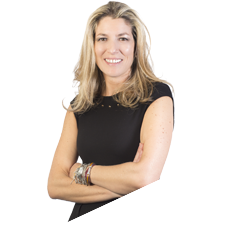 Eva is a Partner and the Commercial Director for Techedge in Spain and LATAM. Eva has 17 years of experience in the management and sales of specialized technology consulting and IT management software. Most of this career has been developed at Techedge, where she has led, over the years, the area of large accounts, the business area specializing in Public Sector and Software division. 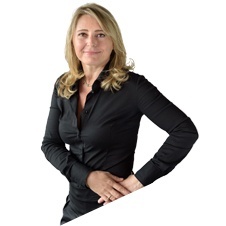 Prior to joining Techedge in 2002, she was the Director of Business Unit at Altran Group. Eva holds a Degree in Telecommunications Engineering from the Universidad Politécnica de Madrid. 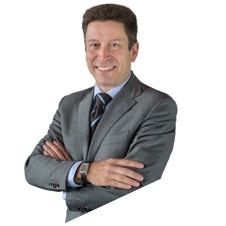 With more than 25 years of experience in the industry Joerg is a recognized SAP technology veteran and entrepreneur. 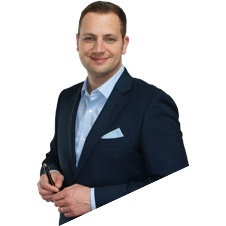 Joerg’s experience is not limited to the field of technology consulting, he also served as the Co-Founder and President of G&K Management, a management consulting firm specialized in Mergers & Acquisitions. 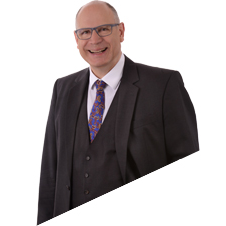 Managing Partner of Techedge Germany, Kai-Olaf has more than 25 years of experience consulting for the Automotive Industry. He has worked with both OEMs and suppliers to develop best-in-class solutions and processes, fueled by technology, to flexibly overcome the disruption that frequently challenges the industry. Prior to joining Techedge in 2012, Kai-Olaf held a leadership position with the SAP automotive team and served as head of the automotive supplier group of Central Europe at Capgemini. He started his career working with a subsidiary of the German automotive supplier ZF before transitioning into automotive consulting. Kai-Olaf earned a Mechanical Engineering degree at the Technical University of Munich and for more than 15 years he has served as a lecturer at the University of Cooperative Education Stuttgart for Industrial Engineering. Andrea leads the Energy & Utilities Industry and brings more than 35 years of experience in applying Information Technology for operational excellence, with particular expertise in Hydrocarbon Processing Industries, and especially in Petroleum Refining. Prior to joining Techedge, Andrea worked at ENI where he progressed through several leadership positions including head of the ICT Demand & Delivery. Andrea's background in the Energy industry dates back to the eighties, when he first started his career as a Plant Computing Program Manager at Exxon Mobil, and then started the Oil & Gas Solution Unit at IBM, where he coordinated the design and the development of solutions for refining production operations. Andrea earned a Master's degree in Electronic Engineering from Politecnico di Torino, Italy. Antonio is one of the co-founders of Techedge and is responsible for the Business Coordination of the Central Italy Region. Prior to Techedge, Antonio worked in the consulting industry focusing on large scale SAP implementations for customers in Telecommunications, Utilities and Public sectors. Antonio started his career at BULL designing parallel processing systems and developing real-time systems for quality control applications through visual inspection. Antonio has specialized in parallel processing and real-time systems development at the Italian National Research Council and has published various articles in specialized magazines. Antonio earned a master's degree in computer science from Università degli Studi di Napoli Federico II. Sergio is a partner and the Managing Director of North America. He began his career with Techedge in 2004 as a consultant and spent several years working with clients in different industries across Europe. During that period he also worked as product manager, pioneering technology solutions in the areas of operational excellence, helping clients simplify and reduce the complexity of their operations. He subsequently held various positions of increasing responsibility in Italy and moved to the United States in 2010, participating in the start-up of the US branch. Sergio is passionate about the applications of technology to simplify complex problems in large scale environments. His background includes Harvard Business School Executive Education and a master's degree in electronic engineering from Politecnico di Torino, Italy. 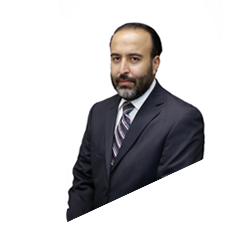 Gabriel is the Managing Director of Techedge Mexico. Prior to joining Techedge in 2014, he was responsible to help clients in the retail sector, one of the fastest growing sectors for SAP, take advantage of innovation solution such as HANA. He began his career in the IT world more than 12 years ago, holding position of increasing responsibility at companies like Dell, IBM, HP and SAP. Prior to that he was Account Manager at Grupo CARSO (Telmex) for the Financial Sector and then became a Product Marketing Manager at Avantel, the second largest telecommunications company in Mexico. Gabriel earned a degree in Electronics & Communications, a degree in Planning, Administration and Evaluation of Projects from Instituto Tecnológico de Monterrey, Mexico, and a Diploma in Strategic Planning by the Autonomous Technological Institute of Mexico. Fermín Álvarez Carbajales is a Partner and director of the Colombian subsidiary of Techedge. Before moving to Colombia in 2015 to direct the integration of Projection Core into the Techedge Group, he was the director of the Cloud and Technology unit in Spain. 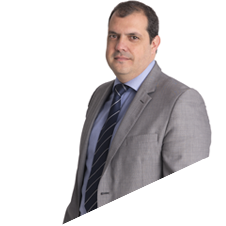 Fermín has carried out his entire professional career at Techedge, where he joined in 2000 as SAP Technology Consultant and subsequently grew into roles of increasing responsibility in the area of Technology. He holds a degree in Mathematics, as well as Applied Mathematics and Computation from the University of Oviedo in Spain. As the Managing Director of Techedge Portugal, José is responsible for the development the business in Portugal and Portuguese-speaking African countries, helping clients in these markets take advantage of innovation and digital transformation. Prior to joining Techedge in 2016, he was Portugal's CEO of an international Consulting Firm. During his 13 years tenure he developed the business positioning it as one of the leading firms in Portugal and Angola. José is passionate about technology applied to knowledge as well as Business Intelligence which has always been one of his greatest areas of interest; he is currently focusing his attention on the application of knowledge to accelerate the identification of business solutions. He began his consulting career in 1996, working in the areas of Technology applied to the Consumer and Distribution sectors. His education includes a degree in Computer Engineering from Instituto Superior Técnico in Lisbon, Portugal.